It is always a pleasure racing in Southern Pines, North Carolina. There is something about the way the pine trees line the roads and trails that remind me of the green Ardennes and the soft feeling of fallen pine needles of the Bois Jacques under my feet. I am always eager to race there. 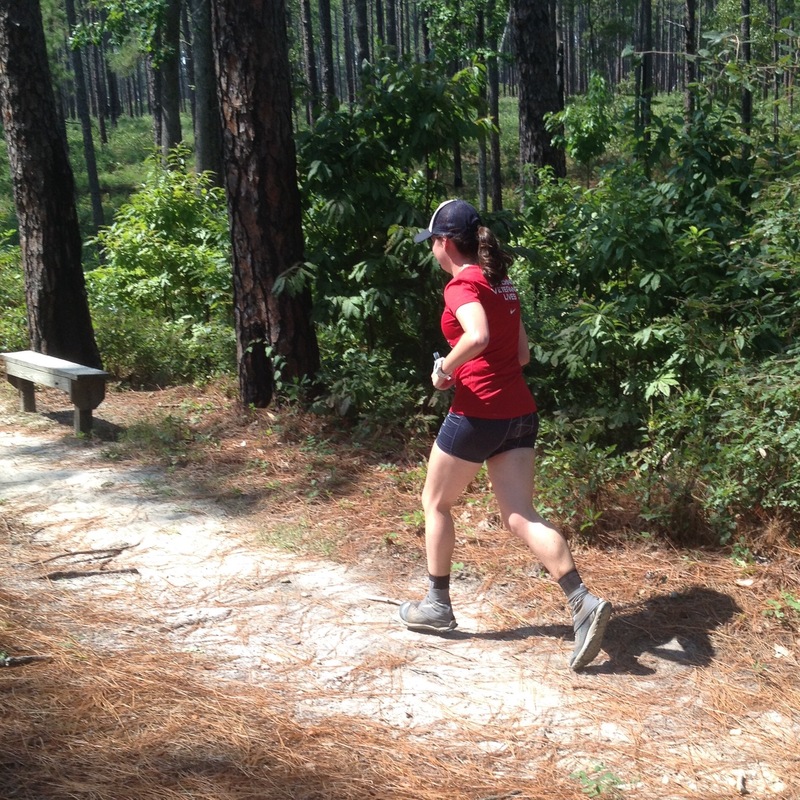 The ultra-running community in the Sandhills region of the Carolinas is unexpectedly rooted in the terrain there. Trail networks are not too common, but some of the best regional and even national competitors set their sights on racing the scene, and the Weymouth Woods 50K is a staple. The course is not easy, physically and mentally. It consists of six 5.18 mile loops through the sandy, hilly, winding trails of the Weymouth Woods – Sandhills Nature Preserve. The weather is usually hot, this year peaking out at 95 degrees and 90% humidity. And the repeated course would train anyone alone. I was joined this year by my best friend Heather, who was crewing me for the first time. She had never been to an ultra-marathon before, but did a great job orchestrating water drops, nutritional needs and even snapping photos. 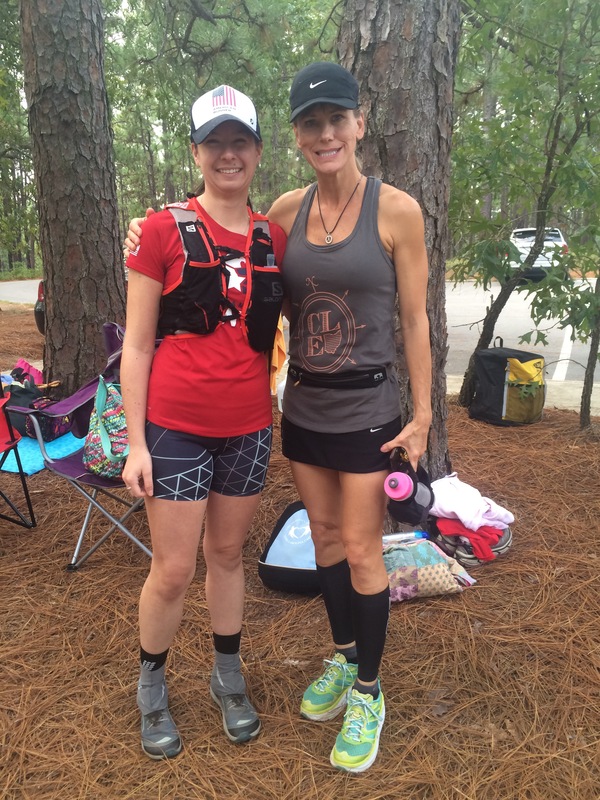 Also ran into my friend Cherie who first introduced me to ultra-running when I met her on pacing duties at the Umstead 100 Endurance Run. The race started promptly at 0800, and unexpectedly I took the lead, guiding both the men and women down trail and onto a tight section of singletrack to the left. 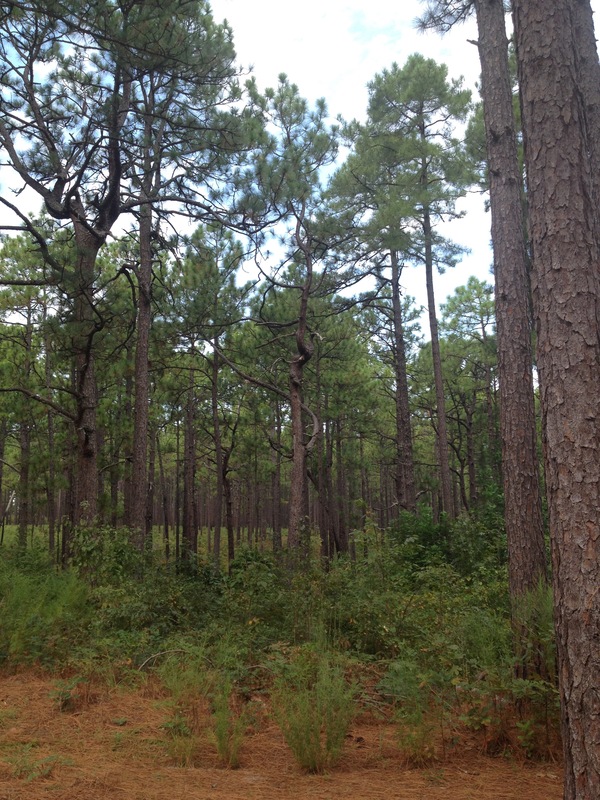 It started off in my element: rooted rising trails cutting through pine forest. The first three laps felt effortless. I hovered right below 9:00/mile pace and even lapped a few runners. As opposed to other races I have competed in, I opted for the “light and fast” method this go around, starting off with a hydration vest and dropping it shortly thereafter for a simple handheld soft flask filled with Skratch. It was paying off. There was only one aid station for the course, situated at the beginning of each loop where you would call out your first and last name for the record. I passed it by each time, opting for my typical Huma Gel and Skratch Labs chews over cups of Gatorade, M&Ms and PB&J sandwiches. By lap four, things however began to catch up to me. I had been running constantly along the hilly course for the entire event. My legs were getting burned out and the heat was making me a bit dizzy. I felt terrible. Heather did her best to keep me hydrated and moving when I began to lollygag at the aid station. She prodded me along each time I passed through, like any good friend and crew member would. Things began to go downhill. My pace dropped. Laps four and five dragged on. But I was still leading. I had to power hike the hills, bogged down by the sandy surface under foot. But I was one lap away from a win. Lap six arrived quicker than expected. I stopped at the aid station and downed a few cups of Coke, something I only ever do while racing ultra-marathons. I dumped a cup of water over my head, snagged a chocolate chip cookie and was on my way. At this point not only did I know I had quite a substantial lead, but I also knew I was on course record pace. All I had to do was hang on. And hang on I did. In the last few miles, I saw the second place woman on a lollipop portion of the course, she gave me a high five and congratulated me. I was moving well again. The last mile flew by, and as I approached the finish line, a smile plastered across my face, Heather running alongside me taking pictures, I could not help but laugh. A course record. A race win under tough circumstances and conditions. Told I was dominant. 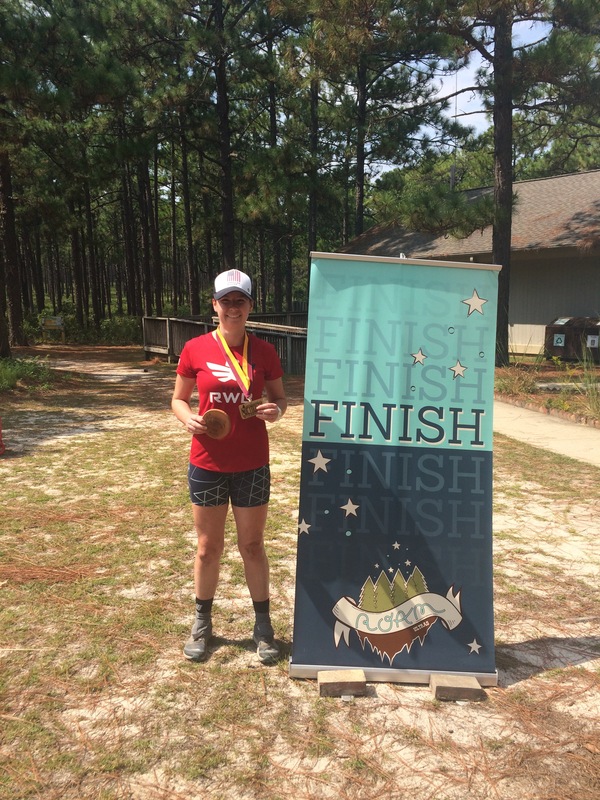 I was handed my finisher’s medal and first place plaque, made from wood from one of the famous pines of the region. All I can say is I am back from my injuries and ready to race again. GEAR USED DURING THE WEYMOUTH WOODS 50K: Altra Running Superior 2.0s, Salomon S-Lab Ultra Vest 5L and handheld, Skratch Labs Fruit Drops (raspberry), Skratch Labs Exercise Hydration (Lemon Lime), Skratch Labs Hyper Hydration, Stoked Roasters Bluebird blend (post-race caffeine fix).